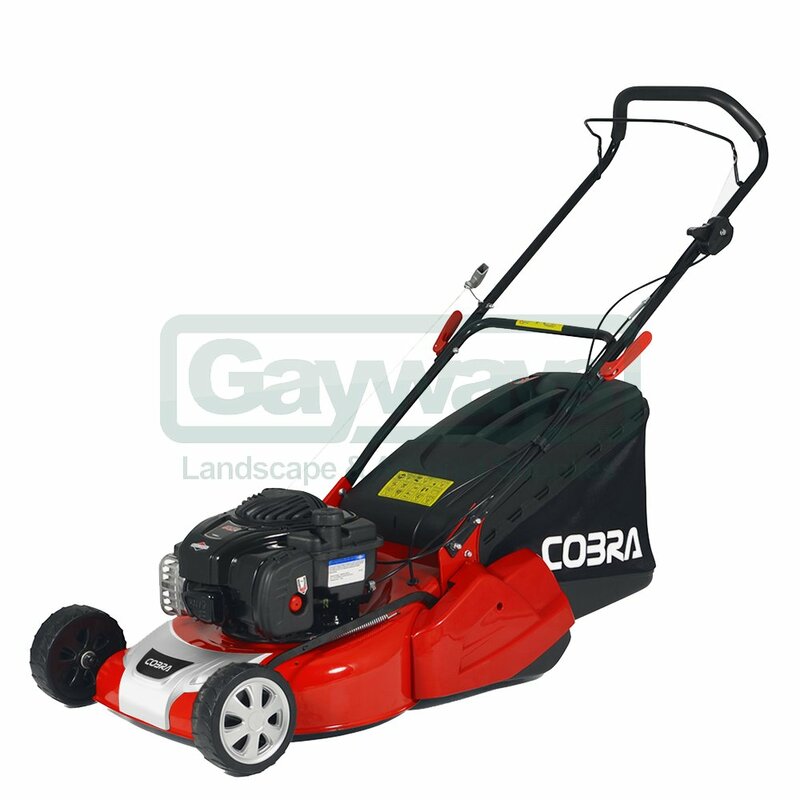 Every Cobra lawnmower has been expertly designed in the UK to cater specifically for the changing conditions of the British lawn. 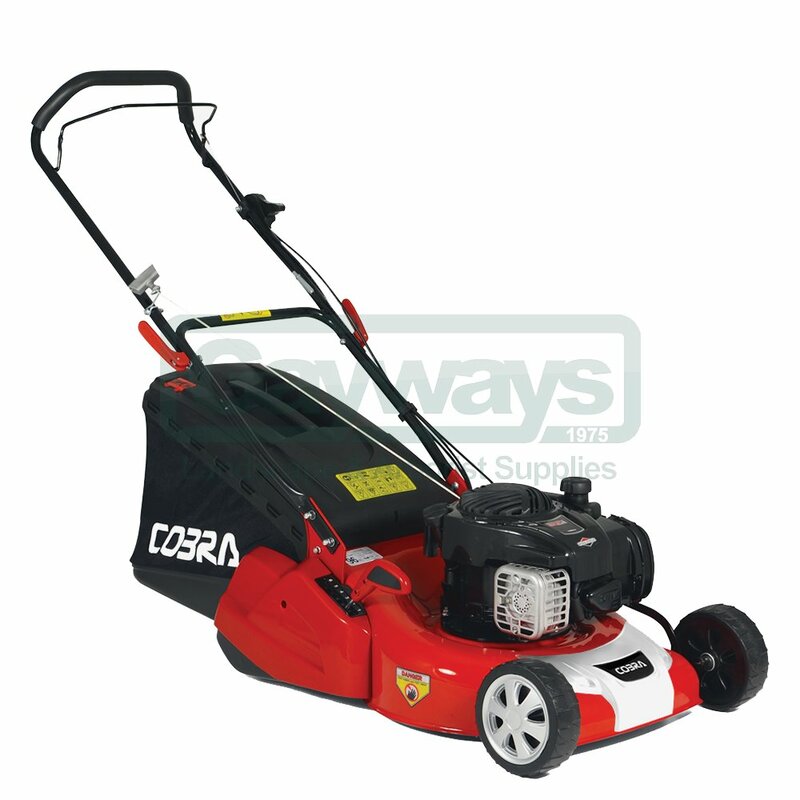 With exceptional performance and style, the Cobra RM46B petrol lawnmower is powered by a Briggs & Stratton 500 Series engine, is hand propelled, and has a rear roller for a traditional striped finish. 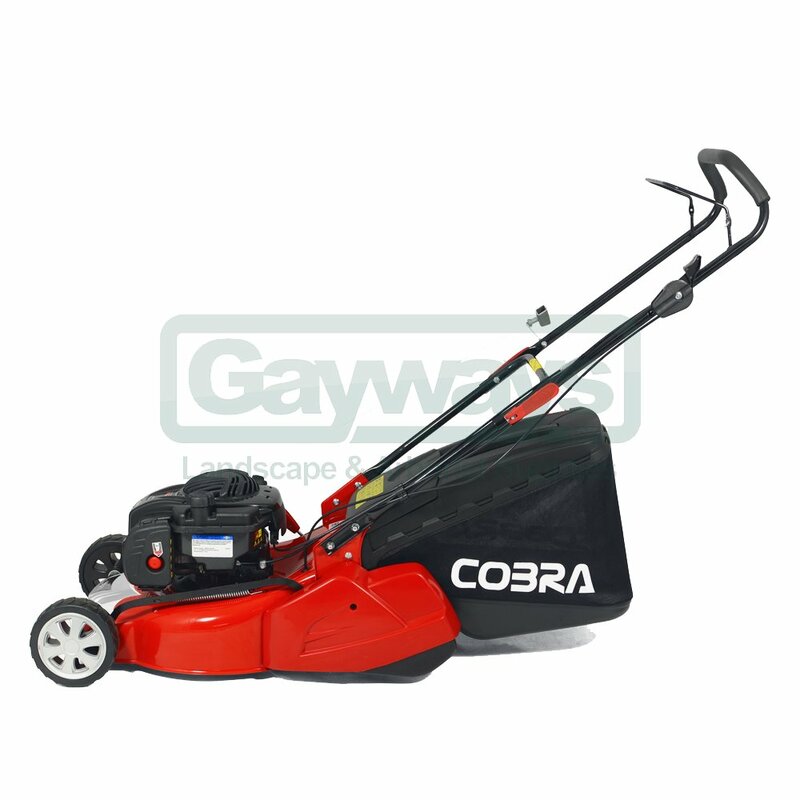 The Cobra RM46B petrol lawnmower is equipped with a 60 litre fabric grass bag, ideal for collecting large amounts of grass clippings before the need for emptying. The grass bag on the Cobra RM46B is made from a robust, high quality fabric. This fabric enables a strong free flow of air which means that grass collection on this machine is even more compact and comprehensive. With a fully adjustable 6 cutting heights ranging from 17mm for a superb low finish, up to 75mm for tackling longer grass, choose the Cobra RM46B. All this is achieved by simply using the single height of cut adjustment lever which has been conveniently positioned next to the rear roller. 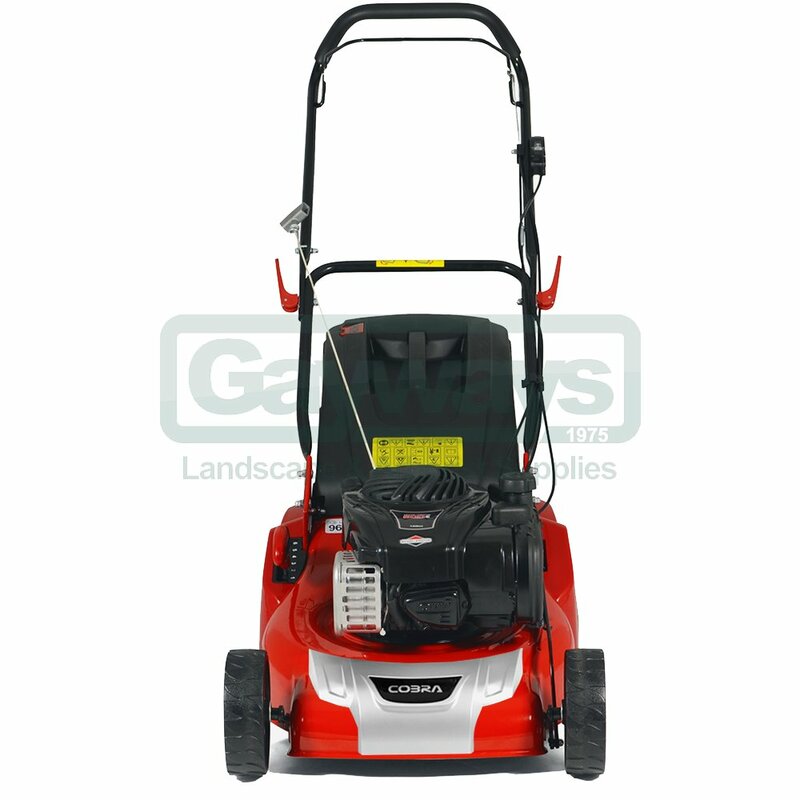 The RM46B also gives you the ability to mow right up to the edge of flowerbeds and borders. The rear roller supports the lawnmower when the front wheels are in line with the border. 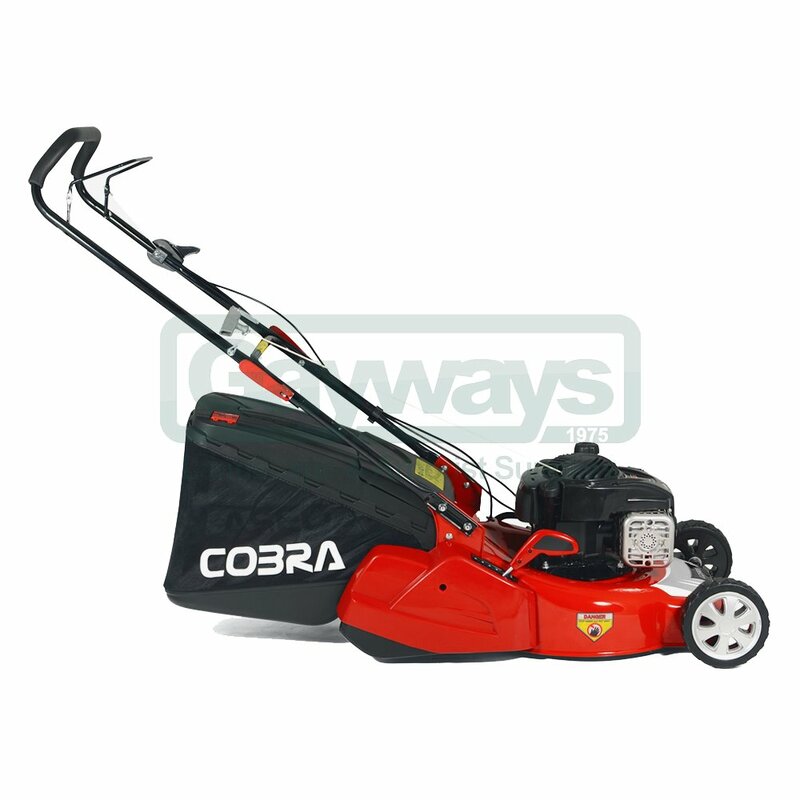 The Cobra RM46B petrol lawnmower is equipped with a 60ltr fabric grass bag, ideal for collecting large amounts of grass clippings before the need for emptying. The grass bag on the Cobra RM46B is made from a robust, high quality fabric. This fabric enables a strong free flow of air which means that grass collection on this machine is even more compact and comprehensive.